When Brandon Passer came out of the gate as fast as he was, it was only a matter of time until he visited victory lane, and that happened on Saturday night as he won the St. Onge Recreational Super Stock feature. The Super Stocks have long held the reign as being the most competitive and diverse division at Sunset Speedway, and 2018 has done nothing to change that. The 2016 campaign saw seven different drivers visit feature victory lane, with that number being raised to a total of nine different competitors holding a checkered flag. Four points events in the books, and we have seen four different winners – Dave Doucette, Stefan Semeraro, Coltin Everingham, and now Brandon Passer. The trend could easily continue as there are several other drivers in the division who have won previously, or on the verge of scoring their first career triumph. Is it possible to get to 10? I wouldn’t hold my breath that far, but we’ll probably get awfully close. As noted, Saturday night marked Passer’s first trip to Sunset Speedway victory lane. He had won a feature before – but that was at Sauble Speedway. Now he can say that he is a feature winner at Sunset. But, the victory is no surprise as the team made a big decision in the off-season, buying the car that Jordan Howse drove to the championship in 2017. A good car, combined with his talent, and the sky is the limit you could say. But wait – he isn’t your points leader after four events. That honor goes to Stefan Semeraro, who is well on his way to having a breakout campaign. After starting the year off with a fourth-place finish, he has now backed it up with a win, and two runner-ups. If there’s a competitor that could become the first driver to score multiple wins, then he is the driver to keep an eye on. That said, his advantage thus far isn’t that big as he only leads Everingham by eight points, with a 10-point advantage over Passer. Speaking of Everingham, he picked up a third-place finish on Saturday night for his third top-five of 2018. Two drivers that could add their name to the list of winners are easily Justin Holmes and Ethan Constable, who rounded out the top-five on Saturday night. Holmes has finished inside of the top-six through all four races to date thus far in 2018, while Constable now has back-to-back top-fives to his credit. Matt Bentley finished sixth in his second start of the season at Sunset Speedway, followed by Frank Davey with a season-best seventh. Gerrit Tiemersma finished eighth for his third straight top-10, followed by Johnny Morrison and Mike Weeda. 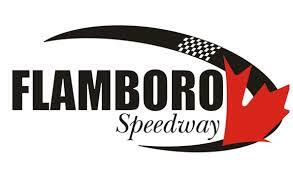 Heat victories on Saturday night went to Semeraro, Weeda, Walters, and Davey.